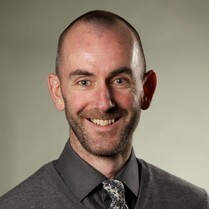 Dr Iain Lang is a Senior Lecturer in Public Health and a National Institute for Health Research (NIHR) Knowledge Mobilisation Research Fellow based at the University of Exeter Medical School. He is a Consultant in Public Health with Devon County Council and a Senior Lecturer in Public Health with PenCLAHRC. His research interests relate to older people's health, particularly frailty and dementia, and to implementation.